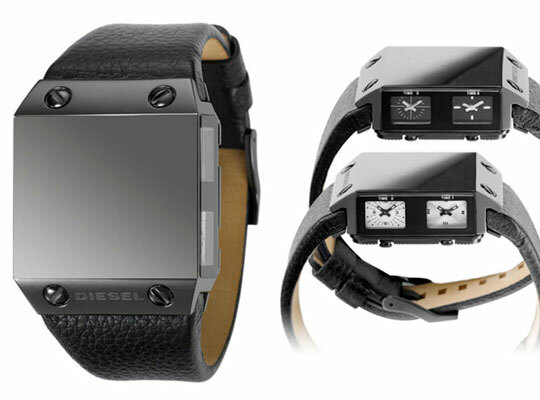 The Diesel Black Label “No Face” Watch comes in a steel frame with black leather straps. The black top plate is sleek but reveals no time. Its a fashion statement I guess who wears watches to tell time anyway that’s what cellphones are for.